In addition to the coursework specific to the BASW program listed below, students must meet the full SDSU graduation requirements in order to earn the degree.  See the SDSU General Catalog for the full SDSU undergraduate graduation requirements, which include: time limitations, transfer credit, etc. These prerequisite courses may not be taken Cr/NC. The minimum grade in each class is C or higher. Complete all courses in preparation for the major with a minimum GPA of 2.70. Many of these course have equivalent courses at the Community college. Check with a Community college advisor for more information and for a list of equivalent courses. Equivalent courses for SWORK 110 and SWORK 120 are offered at San Diego Community College. Passing the Writing Placement Assessment with a score of 10 or completing one of the approved upper division writing courses (W) with a grade of C (2.0) or better. See “Graduation Requirements” section for a complete listing of requirements. All social work undergraduate majors are required to participate in a pre-approved international experience to increase awareness of cross-cultural issues, global health, economic, political, cultural, social services, and health challenges experienced by local populations in international environments. Students participate in residence for two or more weeks (exemption from the study abroad portion of the requirement must be approved by the dean of the college based on serious and compelling life events or physical limitations; a relevant course will be substituted). Specific details can be found on the CHHS Undergraduate International Experience web site. All students must enroll in field practicum. This is a 16-hour per week internship at a School of Social Work arranged and supervised social work community agency (students are not permitted to locate their own agencies). Students begin field practicum during the fall semester only and must concurrently enroll in Social Work 483A and 489A. The continuation of field practicum is offered in spring semester only when students must concurrently enroll in Social Work 483B and 489B. These courses are sequential and students must complete both “A” courses before going on to the two “B” courses. During the spring semester, preceding enrollment in field practicum, students attend a field orientation meeting. Specific date and time of the orientation is posted on the field bulletin board outside Hepner Hall 119 and announced in class. In addition, students should read the appropriate section in the current student handbook. The section outlines all requirements and processes the student is expected to follow. The coordinator of field instruction evaluates each application to determine whether the student has met all requirements for admission to field practicum (Social Work GPA of 2.00 and senior status, which consists of at least 90 units) and assigns the student to an agency for internship. Students who do not file a field application by the deadline date will not be able to enter field practicum. Specific times and days of field practicum are arranged between the student and the assigned agency, but most agencies require daytime availability. Evening and weekend placements are not available. Students should arrange their schedules appropriately to meet these criteria. See the SSW Field site for additional details. A student may be admitted to the Major once all premajor requirements have been met. Six 300 level social work courses (18 units) are required for the major. Students are advised to be aware that all of these courses are not offered every semester. Students must complete all 300-level social work courses (21 units) before they will be allowed to enroll in Social Work 483A and 489A. There is no required order of the 300-level courses with the exception that Social Work 382 must be taken prior to Social Work 381. SWORK 381 and SWORK 382 must have grades of C or better in order to continue on to the Field Experience in Social Work (SWORK 489A). The cumulative GPA for SWORK 350, SWORK 360, SWORK 361, SWORK 370, SWORK 381, and SWORK 382 must be 2.5 or better to continue on to the Field Experience in Social Work (SWORK 489A). Several 400, 500-level social work courses (23 units) are required for the major. Students are advised to be aware that all of the courses are not offered every semester. In addition, SW 489A and SW 489B is considered a year-long field experience. Students that do not complete the year-long field experience in the same academic year will need to repeat the full year-long field experience. Select three electives from the list below. At least two electives must be in the Social Work department. The other elective may be selected from the list of courses from other departments presented below.